The history of the Karlsruhe Model is directly connected to the special history of the Albtal-Verkehrs-Gesellschaft mbH (AVG). The AVG arose from the Albtalbahn, a private railway company which has since 1897 operated in the region, carrying passengers from Karlsruhe to Bad Herrenalb in the Black Forest. The narrow-gauge Albtalbahn was in operation until the 1950s. The Albtalbahn line terminated at the Albtalbahnhof, which used to be located near the first Karlsruhe main station at Kriegsstrasse. The Karlsruhe Hauptbahnhof was relocated in 1913, and soon thereafter in 1915 the Albtalbahnhof was also relocated. By the 1950s, the Albtalbahn encountered increased economic difficulty. One cause for its troubles was the location of its bahnhof outside of the center of the city. To prevent its impending economic ruin, the Albtalbahn needed operational restructuring. Deutsche Bundesbahn, the state railway of former West Germany, refused to assimilate the Albtalbahn into the national rail operations. Deutsche Bundesbahn also refused to substitute buses for the railway line from Bad Herrenalb to Karlsruhe, with the reason that bus services were not sufficient to carry the potentially great number of passengers along the line. The solution to the problem was to connect the tramway network and the Albtalbahn so that it could operate with tramway vehicles on heavy railway infrastructure. The Albtalbahn needed structural modification if its trains were to run on the tramway network. 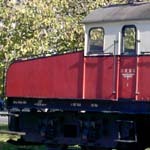 The tracks were adjusted from narrow-gauge to standard-gauge. The line was electrified with 750 Volt DC, to be compatible with Karlsruhe's tramway network. These modifications to the Albtalbahn were the first steps toward the Karlsruhe Model of today. In 1957, the AVG, which was owned by the City of Karlsruhe, was founded to operate the new railway line. Later, the AVG and the Verkehrsbetriebe Karlsruhe (VBK), the local tramway operating company, merged. 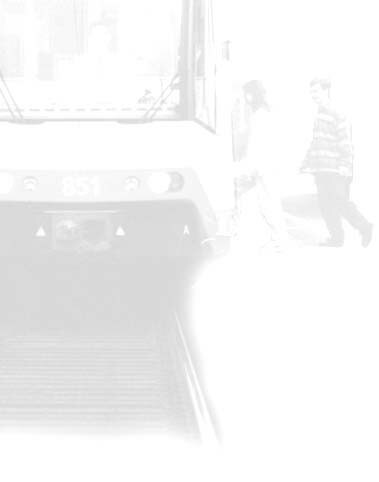 The advantage of having both the regional and the municipal transport operators "under one umbrella" is potentially easier connections between the light and heavy rail lines. In the 1960s, the city council of Karlsruhe decided to extend the tram network, due to the greater potential ridership capacity of railbound rather than bus public transport. Consequentially, the tram lines to Waldstadt and Knielingen were in the 1960s created, and lines to Rintheim and into Northweststadt were in the 1970s built. Many lines operated unhindered on independent track. To increase travel speed, the trams received the right of way at most crossings. Thus, the railbound public transport became a competitive alternative to private vehicle use. The opening of the Hardtbahn marked another step in the direction of the "Karlsruhe Model". The heavy rail line from Nordweststadt to Neureut was inaugurated in 1979, and included 1.5 km of tracksharing with DB. In 1989, this line was extended to Hochstetten, integrating 4.4 km of additional tracksharing with DB. 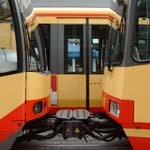 This right-of-way sharing required modification of the tram vehicles to 750 V DC. Tracksharing safety required additional signalling system modification. The line from Bad Herrenalb via Ettlingen and Karlsruhe to Hochstetten is today the S1, one of Karlsruhe's main transport lines. With the possibility of travelling without transfer, the AVG saw a significant increase in passengers. As a consequence, the need arose to get more connections from the City of Karlsruhe to the area. To make this possible in a cost-efficient way an idea was born to use more heavy rail infrastructure. A further problem in Karlsruhe is that the railway stations are located on the outskirts of the City. 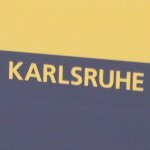 So for every use of a commuter train you had a need to transfer to get from the city centre into Karlsruhe region. The prospect of riding into or out of the city without requring a transfer is attractive to transport patrons. To connect the Karlsruhe tramway network witht the existing heavy rail infrastructure would increase ridership, but some technical difficulties were encountered. The German guidelines for heavy rail operation (EBO) are different from German tramway specifications (BOStrab). In addition, the trams needed power modification, to be able to operate in a DC power environment, as well as with AC power. Consequently, a dual-mode light rail vehicle, called a "tramtrain", was developed. September 25, 1992 was the inauguration of the world's first actual tramtrain line, from Karlsruhe to Bretten. 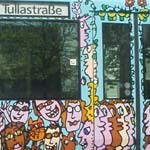 The tramtrain operates between Karlsruhe Marktplatz and Grötzingen like a tram, following BOStrab German tramway specifications. At Grötzingen, the train experiences a DC to AC voltage change and then operates as a heavy rail vehicle, following EBO heavy rail specifications on 18 km of track towards Bretten. In addition to the voltage adjustment and specification shift, the train's accountability is transferred from the AVG tram driver to the operation manager of the Deutsche Bahn AG.